Every major show and convention we’ve attended this year has been a blast, and PAX Prime was no exception! Throughout the weekend, thousands of fans visited the Star Wars™: The Old Republic™ booth on the show floor. They were able to spend some time playing the game, and many even had the chance to face off against other players in the Alderaan and Huttball PVP Warzones! Those who attended the Star Wars: The Old Republic panel were able to watch a live demonstration of the Eternity Vault operation. They were also the first to hear new information about open world PvP on the planet of Ilum. The reception from the fans at the panel was extraordinary, and it was an incredible experience meeting all of the awesome people who made their way over to check out the game. The reception from fans makes us truly grateful to have such dedication and passion in our community. 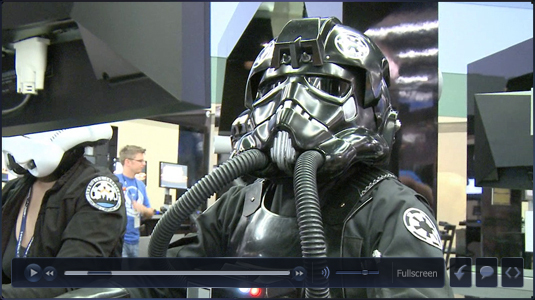 We have put together a brief highlights video to share some of the fun moments from PAX Prime. Thank you to the remarkable community for your continued passion and support for Star Wars: The Old Republic!